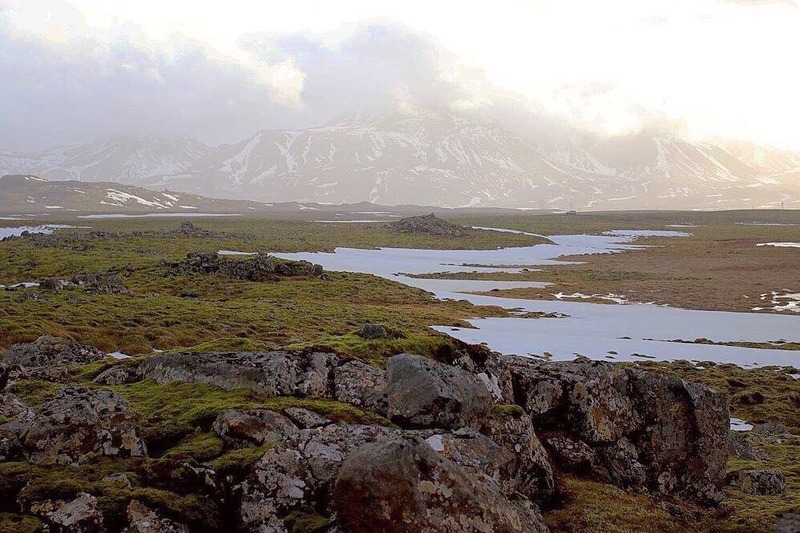 Fundraiser by Laurence Olivier : Laurence's iceland residency! Hi! 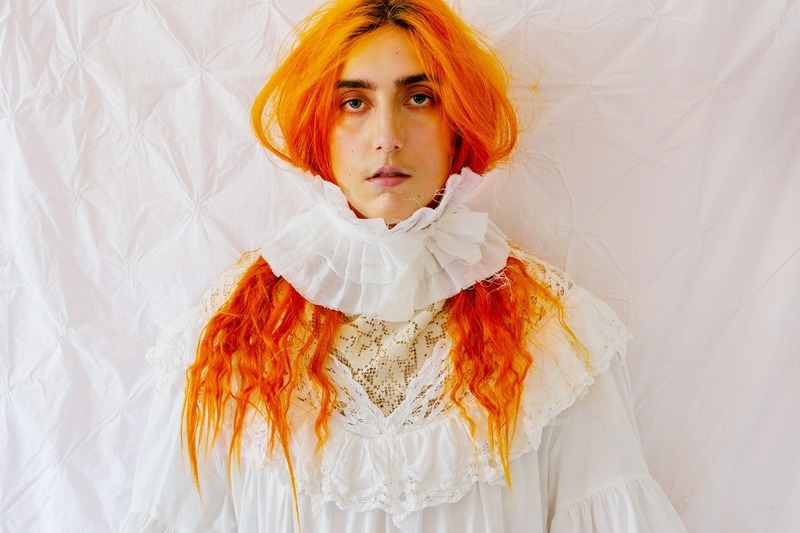 My name is Laurence Philomene, I am a 25 year old non-binary trans photographer. 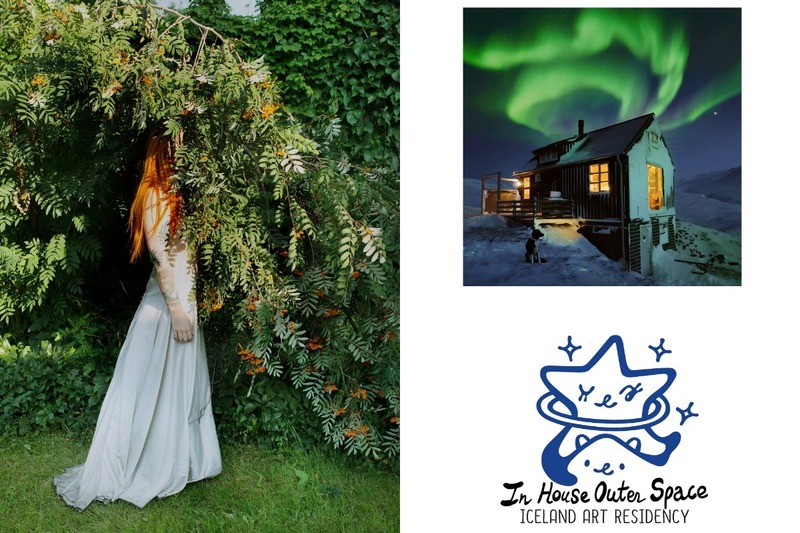 I was recently invited to participate in my first artist residency, which will take place at In House Outer Space near Reykjavik (Iceland), from April 22 to May 1st, 2019. During this residency, I will be producing new work from my ongoing project "Puberty" documenting my experiences with HRT (hormone replacement therapy), as well as giving an artist talk. Contributions of over 150$ will receive a signed 8x10 archival print of an image produced during this residency. If you would like to redeem this print just email me with your name + address after donating! I am a non-binary transgender fine art photographer based in Montreal, Canada. My work is colourful and candid, and deals with questions of identity as seen through a queer/trans lens. My work on gender and identity has been published in the likes of Dazed, I- D, Vice, Broadly, CBC Arts, Courrier International, Teen Vogue, Hunger Magazine, Wonderland, and The Independent, to name a few. I have participated in over 30 exhibitions worldwide, including 4 solo exhibits in Toronto, Montreal, Berlin and Cracow. I am currently working on a 10 year retrospective photography monograph, which will be published in collaboration with Editions Lemaitre (Paris) in 2019. This project is to participate in an artist residency hosted by In House Outer Space near Reykjavik (Iceland), from April 22 to May 1st, 2019. The main focus of this project is the creation and production of new photographic work inspired by Iceland’s unique nature and folklore, as well as my own lived experiences as a transgender artist. This work will be produced by participating in site-specific day trips organized in collaboration with the residency’s host, Jasa Baka. Additionally, I will be participating in an artist talk hosted by the residency, which will be open to the local community. The images I will be working on in the context of this residency are part of an ongoing long-term photography project entitled “Puberty”, which is a visual documentation of my experience as a transgender individual undergoing hormone replacement therapy. In April 2018, I began a medical transition* process by taking bi-weekly testosterone treatments. Testosterone injections generate changes in the body, such as thickening the vocal chords, body hair growth, and redistribution of fat and muscle tissue. Since January 2019, I have been documenting the changes I am witnessing in both my body and my moods through a daily self-portrait practice. The images created explore the body as a site in constant evolution, and as it exists in a state of in-between. Another focus of this project is the passage of time, and how time informs our understanding of gender, visually. My aim with this project is to produce these daily photographs for two years, after which I will curate a selection of images from this body of work, and publish it in a book format. In participating in this residency, I am interested in combining my ongoing visual research on gender markers in the body with Icelandic folk tales of Hudulfolk (“Hidden people” in icelandic). Hudulfolk are part of a widespread cultural belief in the existence of supernatural beings in Iceland. These hidden people, or elves, are believed to live within the landscape and are both feared and revered. They are mostly invisible to the human eye, but can sometimes make themselves seen for a glimpse of time. I am interested in creating images that look at the correlation between Hudulfolk, and my own experience as a non-binary transgender person whose identity is [both visually, and culturally] at times visible, and at times not. Visually, I want to take advantage of the unique landscape available to me in Iceland, and play with larger scale compositions than in my previous work. The resulting images will show my body, in transition, as abstracted bodyscapes (some parts visible and some parts hidden), existing within the icelandic landscape in areas where there have been reported sightings of “hidden people”. *even though I am undergoing HRT, I identify as non-binary, meaning I do not view or express my gender or body as existing within a binary of manhood/womanhood. Please note that I have applied for government grants to cover part of these expenses, however I will not hear back about this funding until june/july, and I need to cover these fees by the end of April. In the event that I do receive this extra funding, the additional money raised will go to produce an exhibition of this work in summer 2019. My goal with this project is to create 10-15 new photographic images which will be part of my larger ongoing body of work “Puberty”. I intend on publishing this project as a whole in book format in 2021. The images shot in Iceland will exist as a distinct body of work as well, which I will be able to exhibit and submit to media outlets and publications upon my return from the residency. Thus, the artwork I produce during my stay in Iceland will be generating new opportunities, and allowing me to reach new heights in my career as an artist. As a visual artist, being able to produce new imagery is a vital step in moving my practice forward. Attending this residency will allow me to fully focus on my work for a period of ten days, and invest the time and energy needed for my photography practice to keep progressing. Since this will be my first time attending a residency, this project will also serve as a jumping off point to apply for (and be invited to) more residencies in the future. Not only will it allow me to grow artistically, but I believe it will cement my status as a professional artist making a mark on the international cultural landscape. On a more personal note, I want to take advantage of this opportunity in creating self portraiture to let myself really feel connected to my body, and to explore what that connection means to me visually and artistically. I want to create a memorable body of work that captures a part of the trans experience in this day and age. In my work, I am interested in exploring western understandings of masculinity and femininity, and how those inform our perception of gender, visually. Moreover, I am interested in hyper-femininity & hyper-masculinity, and how the two can co-exist. This project is a continuation of that train of thought, which I have been working on and refining over the last five years. This specific body of work in Iceland aims to explore these ideas, and put them in a new context - looking at not just my physical body, but also how it relates to a landscape with a distinct cultural history. Additionally, it will be beneficial to my artistic practice to take my work outside of the studio setting, and to interact and collaborate with new artistic communities. Too often, transgender bodies are depicted through the lenses of cis-gendered artists. I believe it is important as a transgender artist to shift that dynamic, by turning my lens inward into my body and my own community, and creating imagery that is rooted in care. As transgender visibility increases, I want to show that trans people who do not fit neatly within the gender binary exist and are worthy of success and respect as well. Trans people exist - we are here, and we are thriving, and following our dreams. In a world where our very existence is often being questioned, it is important to reaffirm this simple truth. With my artwork, I hope to shift society’s opinion on LGBTQ2s+ lives and narratives in a positive light. So many narratives about trans existence focus on our struggles, but I want to focus on our potential successes and happiness. Hi! Sending a quick note to let you all know I have arrived in Iceland safely - I've only been here one day but I've already taken so many photos, and I can't wait to see the final work that comes out of this residency. I am truly so grateful for all your help, thank you so much!! My stay here so far has felt like a surreal daydream. 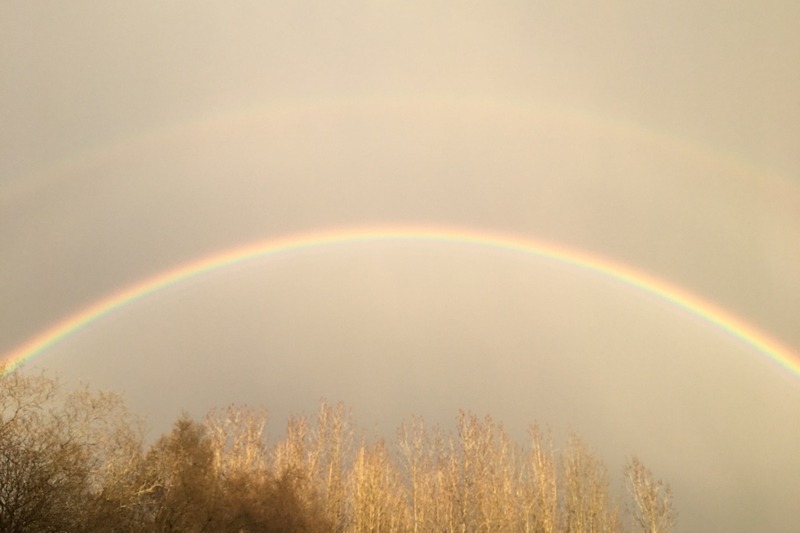 quick phone photo of a double rainbow I saw today, sending you good luck. Hi! Just wanted to take a minute to thank you all so much for your generosity in helping me with this project - your donations have already helped me immensely, and I am honestly so grateful. Thank you!!! I will be starting my travels tomorrow, first stopping in Paris to speak at a conference at Sciences Po (university), then heading to Iceland for the residency. I am so so excited for all the images I will be creating while I am there! I will be sharing the work I make on instagram while I'm attending the residency so feel free to check on there if you'd like to see updates. I still need help raising funds to cover the residency fee & food while I am there, so feel free to keep sharing etc.